Not an ordinary decorative material but a media to express your own emotions and, most of all, the only one able to bring great images on the wall, as “democratic” artworks available for everyone. A new kind of wallpaper has already caught on with the public and WallPepper®, among the precursors of the field, keeps going on surprising with increasingly appreciated and recognized graphics and with its avant-garde technical solutions. 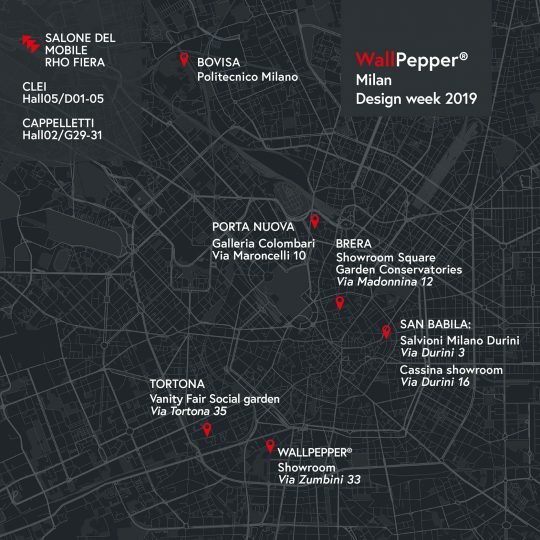 This new appointment with the Design Week is an evident proof, WallPepper®decorate different locations, events, also with very interesting new uses, with the aim to spread creativity and personality everywhere. So, from the floral motifs to the most material graphics, WallPepper® become an unique media to realize decorative projects and workshop but also for more creative conceptual studies.